Michigan is about to get even more electric. 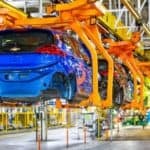 General Motors announced recently it is investing $300 million into an assembly plant in Orion Township, Michigan. 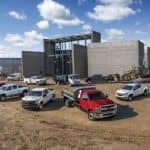 Not only will this investment create more jobs, but it will also give Chevrolet the manufacturing operation it needs to create an all-new electric vehicle (EV). While it doesn’t have an official name, this new electric car could be a replacement of the current Chevrolet Bolt EV. 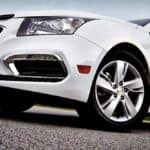 Each vehicle needs proper maintenance, whether it’s a car, truck, or SUV. These vehicles are made up of numerous parts and if properly maintained can run like a well-oiled machine. Chevy has added another feature to the myChevrolet Mobile App to help consumers find their vehicle or check the location of a loved one in their Chevy vehicle. It’s called the Vehicle Locate feature and it serves as an extra means of security. The myChevrolet App is designed to put your smartphone in the command center of your Chevy vehicle, even if you aren’t near it. The redesigned 2020 Silverado HD has a chiseled appearance, looks tough, and stands above the crowd. The heavy-duty hauler is set to go on sale in only a few short months. 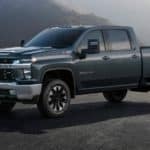 Built in the Flint Assembly plant located in Flint, Michigan, the all-new Silverado HD has a bold, sculpted appearance that follows suit to the enhanced heavy-duty function, differentiating from the light-duty Silverado. With access and overall use of smartphones growing each year, distracted driving has been steadily increasing, too. 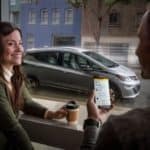 Responding to texts and checking emails has unfortunately become a normal practice for many drivers; and Chevrolet hopes to cut down on distracted driving for its consumers. According to a U.S. Department of Transportation study published by Centers for Disease Control and Prevention (CDC), approximately nine people are killed each day and more than 1,000 people are injured in crashes due to distracted driving. It’s been more than 20 years since OnStar was pioneered by General Motors to provide additional safety services for consumers. Over the last two decades, the person-to-person service has become entangled with the emerging digital technology. As of 2018, OnStar has done more than provide peace of mind for consumers. The service also includes in-vehicle connectivity, 4G LTE WiFi, and ways to shop while in the car. Chevrolet unveiled what the coming year holds for the 1500 pickup truck at the Specialty Equipment Market Association (SEMA) show in Las Vegas. When the concept lineup is released, the options will allow consumers to accessorize the 2019 Silverado 1500 to fit their lifestyle and personalities. Receiving an extreme update, the High Country will now sit on 22-inch wheels and a two-inch suspension lift which leverages the same components as the factory kit on the Trail Boss. The Chevrolet Colorado celebrated its four-year anniversary since returning to the Chevy vehicle lineup in November 2018. Since 2014, the U.S. market has purchased close to 429,000 units of the midsize truck. 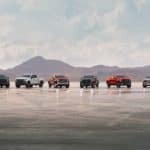 In celebration of this monumental achievement, Chevrolet has announced the release of two special editions for the coming year; the off-road Z71 Trail Runner and the street-focused RST (Rally Sport Truck). New York’s Capital Region is no stranger to icy roads and heavy snowfalls during the winter season. 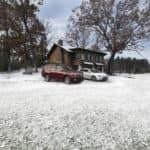 It’s who we are as citizens of Upstate New York, and we’re rarely surprised when we get heavy snowfalls, or when we see snowflakes as early as October and as late as April. 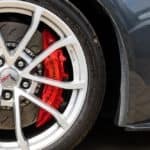 So, this year, as the snow begins to accumulate, it’s important to ensure your vehicle is equipped with the best winter tires to make it through the season without any accidents.